Notes: ca. 1865 - ca. 1957. It is not clear when the first school in this area was built. However, a school board was functioning as early as 1865. The first teacher was Miss Hazeltine. 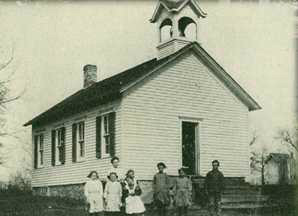 In 1885 the school board met to consider a new location for their school. 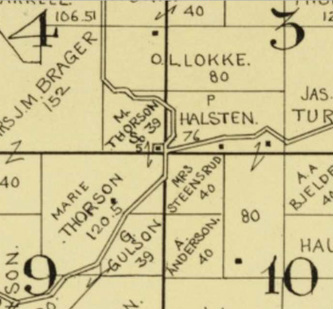 At that and subsequent meetings the board purchased land from Ole Stay (Steensrud) for the new school. The old school site was deeded to a Mr. Davis and was located in the SE corner of SE4, T7, NR6 E. An active Mothers’ Club existed during the entire life of the school. As with many other rural schools children were moved to schools in the larger villages and that lead to the assignment of pupils in this school to Black Earth and Mount Horeb sometime around 1957. 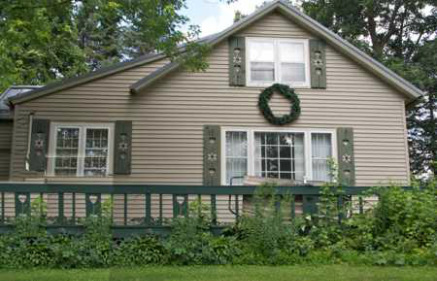 The building was remodeled and in 2014 continued to be occupied as a private home.